MOORESVILLE, N.C. (Sept. 16, 2017) - Dalton Sargeant once again donned the yellow and black Performance Plus Motor Oil colors on the No. 77 Cunningham Motorsports Ford Fusion Thursday night while putting on a show for the fans. 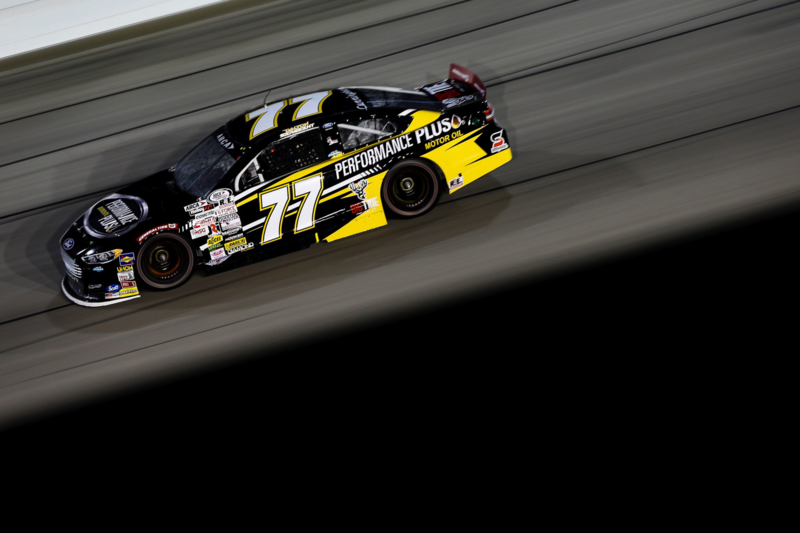 Sargeant finished in the sixth position in the SCOTT 150 at Chicagoland Speedway after having to start last due to the team electing to skip qualifying and start from the rear. Racing his way from 30th to the top-10 in just two laps, the sixth-place finish was Sargeant’s 16th top-10 finish of 2017 with 18 of 20 races on the ARCA Racing Series schedule now in the books. The SCOTT 150 began well for the No. 77 Performance Plus Motor Oil team with Sargeant setting the second-fastest lap time in the first and only practice session of the day. His lap time of 30.69 seconds barely missed the practice leader by a mere .05 seconds, and put the No. 77 as one of the favorites to take home the checkered flag later in the evening. After practice, the Cunningham Motorsports team began preparing for General Tire Pole Qualifying when they realized the weight distribution of the car was off. The team decided to forego qualifying and start from the rear of the field in order to diagnose and fix the issue on the No. 77 car. Once the green flag flew for the 100-lap race starting from the 30th position didn’t hamper the 19-year-old for long. Sargeant quickly made up time weaving his way through the field. When the first caution fell on lap three, Sargeant had already broken into the top-10, running in the ninth position. From there Sargeant began fighting an ill-handling race car, but was still able to improve his position on the track, making it up to seventh by lap 30. After multiple caution periods and a few pit stops to work on the balance of the No. 77, Sargeant still hadn’t made up any ground and continued to fight inside the top-10 for most of the race until a late race caution came out with five laps remaining. Sargeant brought the No. 77 Performance Plus Motor Oil Ford Fusion into the pits for four tires and adjustments to set himself up for the green-white-checker finish. He restarted 11th with just three laps to go, utilizing the bottom lane to barrel toward the front of the field, but ran out of laps and ended up finishing in sixth position. Performance Plus is the premium brand of motor oils and lubricants that perform better even under the most extreme conditions. The brand uses conventionally refined oils and proprietary, twice-refined oils, blended with industry-leading additives, to meet or exceed all industry certifications, licenses, approvals and OEM warranty requirements. With more than 30 years of innovation, research and testing, the formulations outperform under the demanding conditions of U.S. military combat vehicles and racing engines from Daytona to Indianapolis and the Bonneville Salt Flats. Visit PerformancePlusOils.com.